Police in Turkey raided media outlets throughout the country Sunday, arresting 24 supporters of a rival of President Recep Tayyip Erdogan. 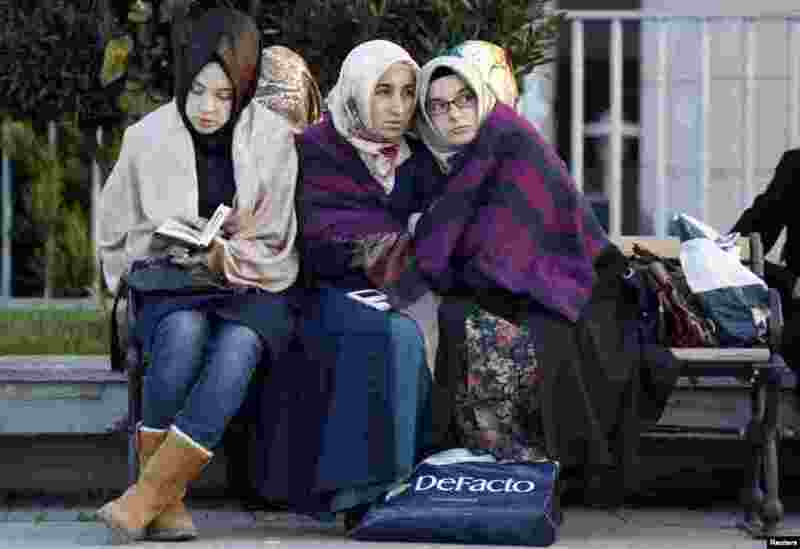 1 Relatives and supporters of people who were detained by police wait outside the Justice Palace in Istanbul, Turkey, Dec. 14, 2014. 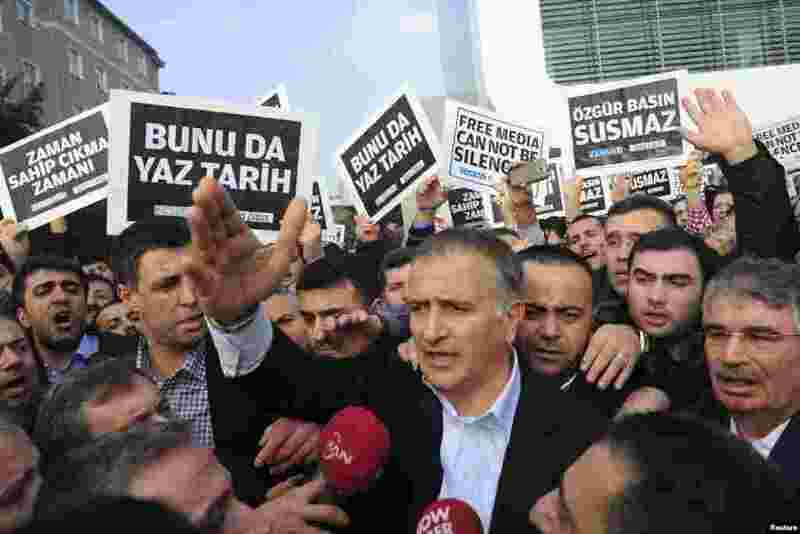 2 Zaman editor-in-chief Ekrem Dumanli, surrounded by his colleagues and plainclothes police officers (center), reacts as he leaves the headquarters of the Zaman daily newspaper, in Istanbul, Turkey, Dec. 14, 2014. 3 Zaman media group employees and their relatives hold protest signs outside the headquarters of the Zaman daily newspaper in Istanbul, Turkey, Dec. 14, 2014. 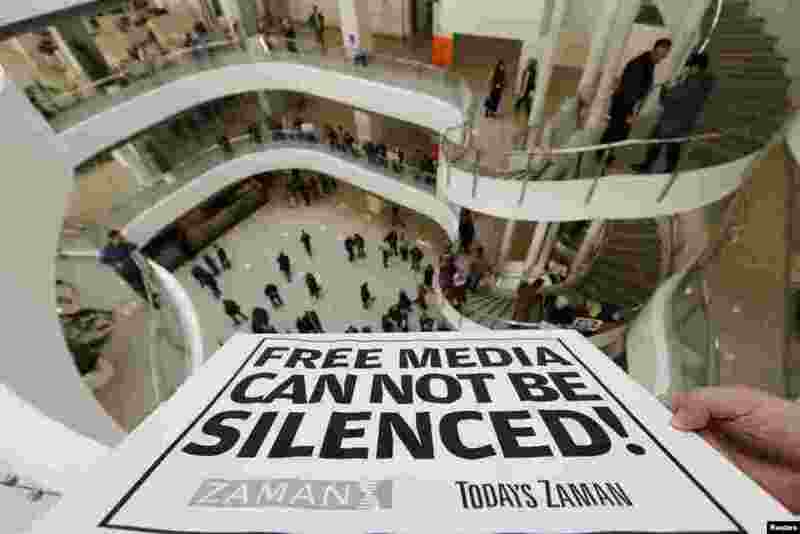 4 A Zaman journalist holds up a banner at the headquarters of the Zaman daily newspaper in Istanbul, Turkey, Dec. 14, 2014.